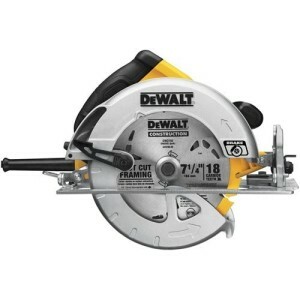 DeWalt, Bosch, Porter and Black & Decker are just a few of the names that have taken a crack at creating the best circular saw on the market in . We have looked at their offers, and several others as well, and have judged them from the point of view of a contractor and of that of a courageous Do It Yourselfer, and ranked them according to their cutting power, weight, and overall functionality. We have, of course, also taken into consideration their price and whether the features each one has, warrants the money being asked for each one. What we ended up with was the top 10 best circular saws of that you can check out bellow. We have started with a table highlighting the most interesting features of each product for you, and after that you can find the depth analysis we have done on each product. Usually it is Bosch that comes with the best, although most often than not most expensive product, but this time it is DeWalt. 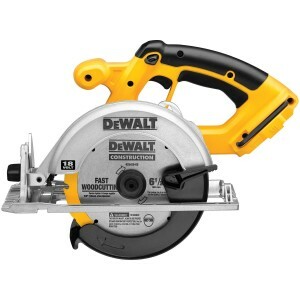 Their DeWalt DWE575SB comes at roughly at the same price as the Bosch we are going to talk about next, but, at 8.8 lbs. it is 1.2 pounds lighter than the Bosch. It has a powerful 15 Amps motor, similar to the one you would find on a regular table saw, and it is capable at spinning the blade at 5200 rotations per minute, or RPM. That means it is faster and stronger than most other table saws and most other circular saws on the market. It uses an electric brake so, in case of an emergency, the blade can be stopped almost instantly. It has a stamped aluminum shoe that allows the blade to have a bevel of 57 degrees, 22.5 on one side and 45 degrees on the other. All in all, the DeWalt DWE575SB is our favorite circular saw, and, we think, for good reason. The one thing that will always be true about Bosch products is that they are almost indestructible and have stood the test of time more than any other product. 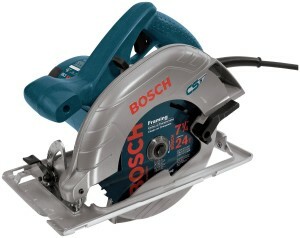 For that reason the Bosch CS5 is our second favorite circular saw. It is just a little bit heavier than the DeWalt, at 10 pounds, but it uses the same type of 15 Amp motor, it just has a lower RPM. The one thing that is more impressive about the Bosch CS5, over the DeWalt is just how smooth the action on the lower guard is. It is not that the DeWalt is not more than adequate, but on the Bosch it is really impressive. And, what is equally impressive, is the fact that the Bosch CS5 has earned a 4.5 star rating on Amazon. The biggest possible disadvantage of both the circular saws we have talked about so far is that you need to be close to a power plug or an extension plug at all times to use them. The DeWalt DC390B solves that problem because it uses a battery. 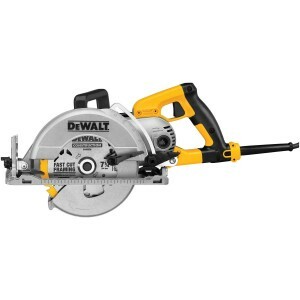 The disadvantage is that, because it does not run on a power from an outlet, the DeWalt DC390B does not have the same power output as a corded circular saw. Still, the fully charged battery does spin the blade at 3700 RPM which is more than enough to cut through any type of wood. The other disadvantage to consider is that the DeWalt DC390B does not come with its own battery or charger so you will need to consider buying those too. The bottom line is that, if you are a contractor, you should have this tool handy just in case you end up on a job where there are no power outlets, but if you work in your own home, it is better to use a corded circular saw. So far we have been talking about the very best circular saws in the market in , and they usually come at relatively high prices. 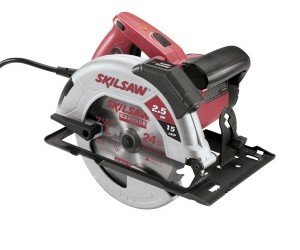 So now we are going to introduce the first of several, affordable circular saws. 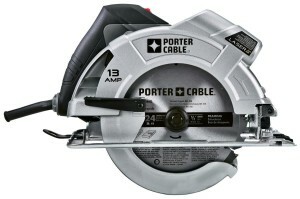 The Porter-Cable circular saw is one of the best in its price range, and we were really impressed by how powerful the 13 Amps motor was. It can spin the blade to 5000 RPM so, even though we were not that impressed with the quality of the blade itself, once you wear it out, you can just buy a higher end, 7-1/4 inch one, and get the best of both worlds. 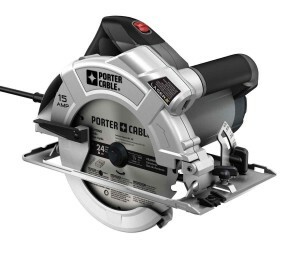 Equally impressive is the fact that the Porter-Cable circular saw has received a 4.6 star rating on Amazon. 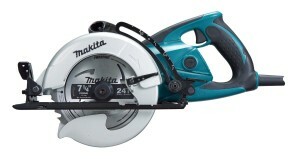 Even though Makita is not one of the best known power tools manufacturers on the market today, we are certain that they will grow to be a household name soon. We were absolutely delighted with the level of technology they invested into their circular saw. They are using sealed oil bath for their motor, just like your car has, and that guarantees the motor on the Makita will outlast almost anything else in its class. It delivers 15 Amps of power that are guaranteed to last no matter the job thanks to the oil bath and to the hypoid gear system employed by the Makita 5477NB. If you are looking for that extra level of durability, the DeWalt DWS535 is the answer for you. It is a bit more expensive than the DeWalt DWE575SB we started the list with, and the extra endurance of the magnesium support is not really worth the extra money. You get the same 15 Amps motor, but it only spins the blade at 4,800 RPM so, unless you are a constantly using a circular saw, there is no point in paying the extra bucks. If do decide to buy the affordable Porter-Cable we talked about earlier, sooner or later you will want to grow to a more powerful machine. That will be the moment when you may discover that you have grown used to the Porter-Cable products and you may just want to stay with them. So the Porter-Cable PC15CSLK will be the answer you will be seeking, since it uses the same basic setup only a more powerful, 15 Amps motor. There are a couple of manufacturers that we have not mentioned yet, although, in terms of hardware manufacturers they often come up as the best. The Skill 5680-02 is one such example of a circular saw that comes with that wonderful Skill pedigree, a 15 Amps motor and an amazing 4.6 star rating on Amazon. 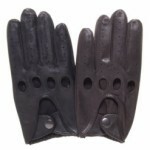 They are quite adequate, but just not as good as the DeWalt and Bosch circular saws we have been discussing. 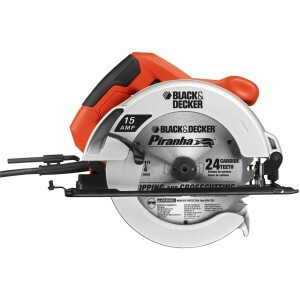 We were truly amazed to find a Black & Decker product that costs less than half that top end circular saws cost, so we had to feature the CS1015 right here. 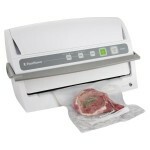 It uses a 15 Amps motor so it is quite powerful, comfortable and reliable. It is everything you would expect from a Black & Decker product, and it has even earned an impressive 4.8 star rating on Amazon. 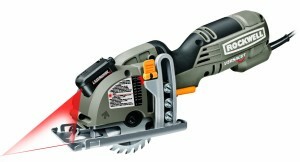 Finally, we had to close with the bonsai tree of circular saws, the Rockwell RK3440K. It weighs only 4 pounds and it uses a 3-3/8 inch blade powered by a 4 Amps motor. This is definitely not a contractor’s tool, but if you are a restorer, you are going to love just how useful this unit is. It is definitely a toy that should be in any painter’s or artist’s workshop and we were positively charmed to work with it.